In 1837 when Michigan was granted statehood, its governor, Stevens T. Mason and the Legislature met to conduct business. With the success of the Erie Canal in New York, and the need to transport farm products to market, a canal to cross the state in order to eliminate the long trip to Chicago through the Straits of Mackinac was proposed. The Clinton River would be used from Belvidere to Mt. Clemens, and to the village of Frederick where digging was to begin. From there the canal would proceed through the townships of Clinton and Sterling, to Utica, and on through Shelby Township to Rochester and Pontiac. 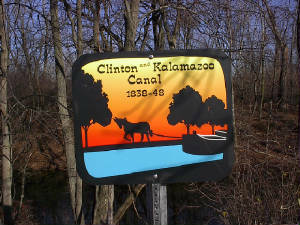 The canal would then cross Michigan and using the Kalamazoo River in Allegan County, make the connection to Lake Michigan. With Michigan's evaluation only $8 million, a loan was negotiated with the Morris Canal and Banking Company of New Jersey. In 1837, $40,000 of the projected canal cost of $2,500,000,was appropriated to begin the construction. The Detroit Free Press of July 19,1838 noted the festivities to mark the beginning of the project. The entire Mt. Clemens area was awakened with the sound of a signal gun. Throughout the day there were speeches, food, more speeches, a thirteen gun salute, music, and the governor turning the first shovel of dirt. There were enough toasts and beverages to account for the chronicles of the era to suggest that those not intoxicated by the end of the day had only themselves to blame. Work began immediately from Frederick toward Utica. The digging was contracted in one mile segments and the woods were soon filled with men laboring with picks, shovels, and wheelbarrows digging the canal and placing dirt alongside the ditch for a towpath. The work proceeded westward through Utica and Shelby Township towards Rochester. Locks were built and an aqueduct was constructed to carry the canal over the Clinton River. In 1843 the Morris Canal and Banking Company was bankrupt, and with no funds to pay laborers, they drifted off into the wilderness. Before doing so, they pilfered anything they could carry and inflicted serious damage to the canal. An 1846 committee report to the Legislature showed the canal to be a failure. 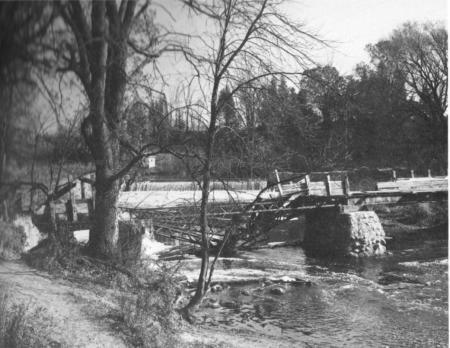 With the popularity of the railroads, no further work was done on the canal and title passed to the Utica Milling Co., who used it as a millrace. By keeping the canal open, they were able to use the water power for grinding farm produce for over a century. You can still see segments of the canal by walking a portion of the 2.5-mile nature trail in River Bends Park using the 22 Mile Road entrance. A little imagination is all that is needed to transport yourself back to the time of the digging. 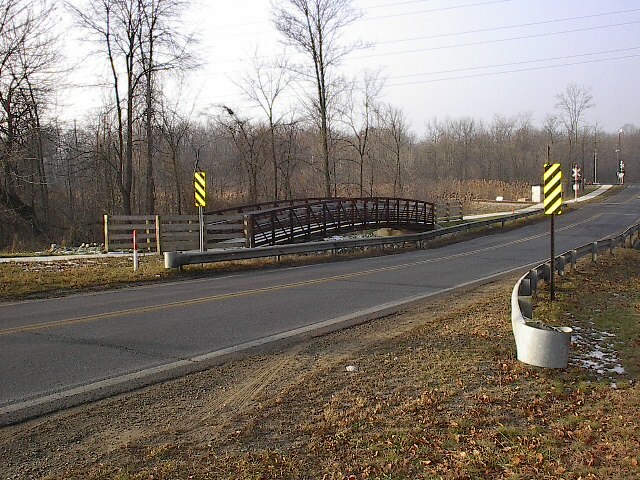 The canal can also be seen in Shelby Township as it crosses 22 Mile Road just west of Shelby, and again as it crosses Ryan Road north of 22 Mile. An unspoiled portion north of 22 Mile road is on private property. A portion of the canal at Bloomer State Park at the end of John R Road is noted by a state marker. The aqueduct remains are still visible at Yates Cider Mill, and the canal's beginning at the old town site of Frederick at Clinton River and Canal Roads has been deeded to Clinton Township and has become a park. Sections have been filled in because of home and road construction, but you can still see some canal remains in Sterling Heights and Clinton Townships by driving along Canal Road. In January 1998, a meeting was held with the historical committees and societies of Shelby and Clinton Townships and the cities of Sterling Heights and Utica. Plans were formulated by these organizations to mark the canal route through their communities.